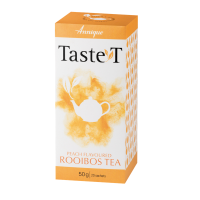 All the teas contain Annique‘s high quality Rooibos Tea, packed with anti-cancer, anti-spasmodic, anti-stress, antioxidant and anti-diabetes benefits. 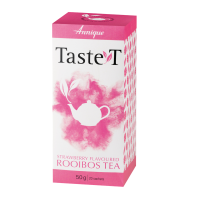 Filled with powerful antioxidants and the gentle sweetness of strawberry flavour, this rich composition produces a mild and fragrant herbal tea with the addition of health benefits. 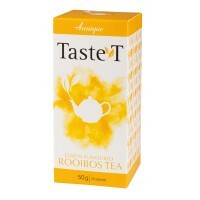 All the teas contain Annique‘s high quality Rooibos Tea, packed with anti-cancer, anti-spasmodic, anti-stress, antioxidant and anti-diabetes benefits. Filled with powerful antioxidants and the gentle lemon flavour, this rich composition produces a mild and fragrant herbal tea with the addition of health benefits. 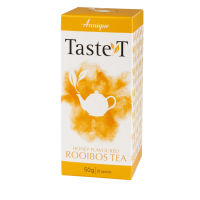 All the teas contain Annique‘s high quality Rooibos Tea, packed with anti-cancer, anti-spasmodic, anti-stress, antioxidant and anti-diabetes benefits.